My son was convinced that a regular t-shirt and jeans wouldn’t do for his 2nd grade field trip last spring. They were headed to a local farm to do everything from a pasture walk to a tractor ride to learning to rope. 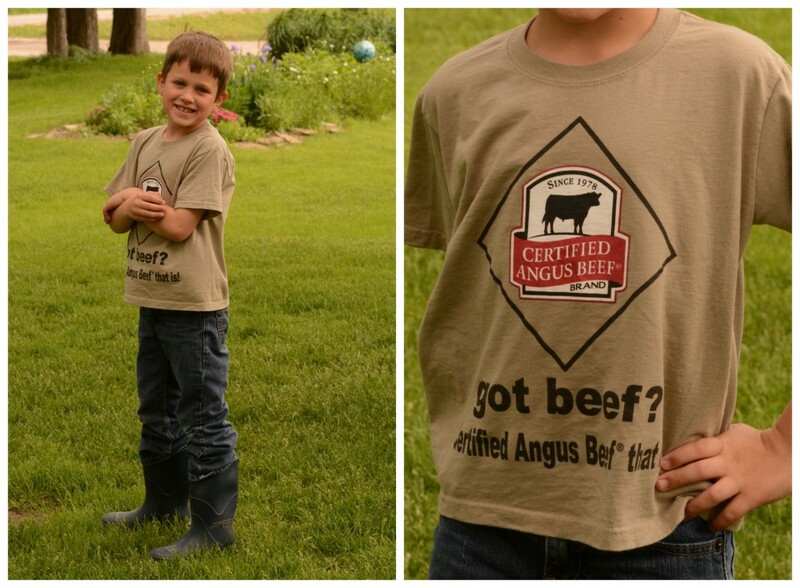 Sporting a shirt with our Certified Angus Beef ® (CAB®) brand logo would be much more appropriate, he decided. I’m not sure if my firstborn figured someone would ask or if it was just his critical thinking skills talking, but when he looked in the mirror that morning he was thinking about that logo. I won’t deny that. It IS a good marketing program. But it’s more than that. Earlier this year our own meat scientist Dr. Phil Bass took a deep dive into the research. He wrote a 25-page report that combines findings from 127 different studies and details all the science behind the ideal carcass. In short, it explains why CAB’s 10 carcass specifications work. “It’s amazing the amount of data that’s out there that just shows Angus cattle in general will tend to have better carcass quality,” Phil says, referencing work as old as 1982 and as current as 2014. “They continue to research it and we continue to see the same results, that more marbling is better,” Phil says. It’s the No. 1 reason cattle don’t qualify for the brand. If you’re a skeptic, I say: read the research. If you’re a fan, do the same. Just maybe the former will become the latter.